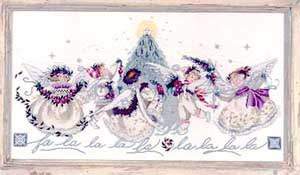 A group of frosty, festive angels dances around a spectacular shimmering Crystal Christmas tree. 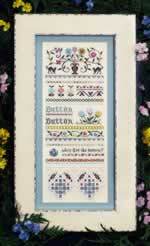 Design by Mirabilia is stitched on 32ct White Belfast linen. 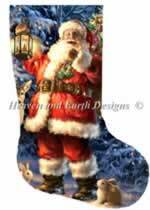 Finished size is 25" x 13 1/4".